It has been called the most important acre in the National Parks. An icon of the West. The last vestige of a bygone era. Small and unassuming, cradled in the lap of the Grand Tetons, the historic Moulton Ranch inholding on Mormon Row in Jackson Hole casts a modest impression next to the magnificent mountain backdrop—a footprint that belies the property’s rich Western heritage and storied legacy. This fall the Moulton parcel, the last privately-owned lot on Mormon Row, will be incorporated into Grand Teton National Park through the generous support of an anonymous conservation donor and the Grand Teton National Park Foundation. The gift ensures the property will remain dedicated public land. And it provides a fitting valediction to one of Jackson Hole’s oldest and most recognized treasures. Homesteaded by T.A. Moulton in 1906, fifteen years before the Town of Jackson was incorporated, the property’s history spans nearly as long as the community itself. 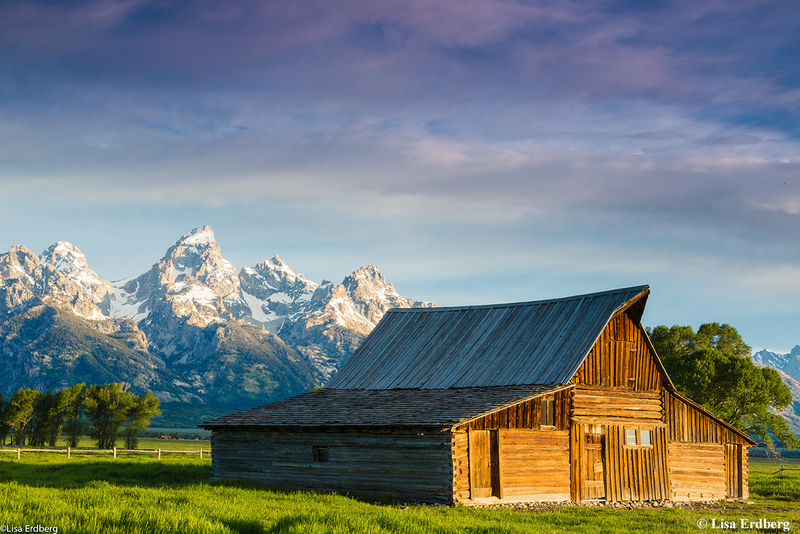 For generations the family raised cattle, alfalfa and oats in the lee of the Grand Tetons. It was a hard living with long winters and tough growing conditions. But like many of the early pioneers, the Moultons carried on the ranching tradition, buoyed by the ethos of the West—hard work, determination and faith. In 1936, T.A. gave a single acre to his son Clark upon his marriage to Veda May, the daughter of nearby homesteaders. 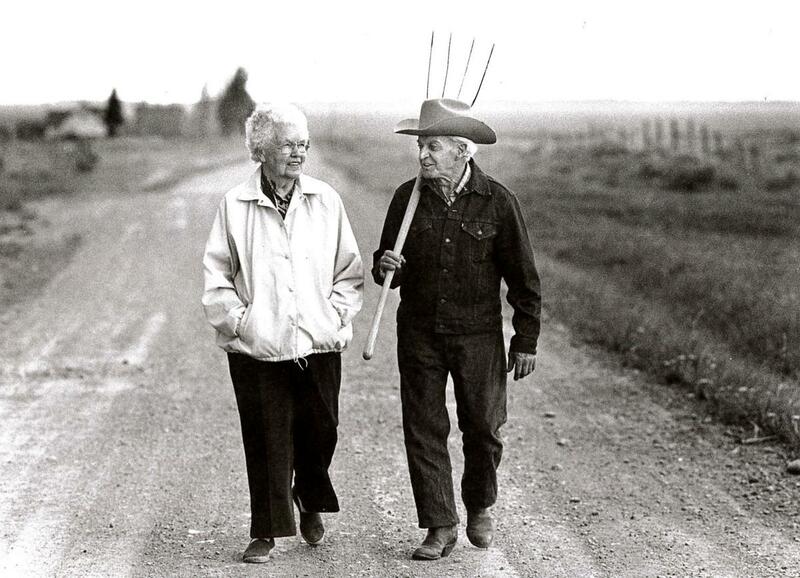 Clark and Veda continued to ranch the property until 1979. Like much of Mormon Row—most of which was purchased by John D. Rockefeller’s Snake River Land & Cattle Co. and later dedicated to the National Park—the Moulton Ranch was gradually committed into public land. All, save for the one acre gifted to Clark, which was passed down to he and Veda’s daughter, Betty, and then to her son, Hal Blake. For more than twenty years Hal and his wife Iola maintained the property by running the Moulton Ranch Cabins, a boutique operation that regularly welcomed back visitors year after year. But scattered family and the challenges of handing down the family business faced the couple with the difficult decision of how to write the property’s next chapter. Chad Budge, an Associate Broker with Jackson Hole Real Estate Associates whose great-grandparents on both sides of his family homesteaded on Mormon Row in the late 1800s, helped facilitate the deal. The gravity of the decision resonates with Budge. “They are the last homesteaders on Mormon Row to give up their property. It’s tough, but it’s not unusual with third or fourth generations.” Chad and his team, Budge Realty Group, are grateful to have been a part of such a significant moment in history. They say that Jackson Hole is a place as big as the men and women who pioneered it. Certainly, it would be hard to imagine a location with a more illustrious past. And perhaps no property is more iconic to the valley than Mormon Row and the final acre of the Moulton Ranch, which will be enshrined in the hands of the pubic for generations to come.